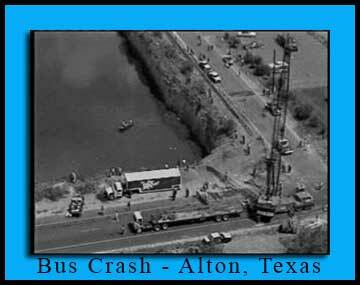 On this day in 1989, the worst bus accident in Texas history occurred near the communities of Mission and Alton in Hidalgo County. At 7:30 A.M. a Dr Pepper truck hit a Mission school bus, knocking it into a caliche pit at the corner of Five-Mile Road and Bryan Road. Twenty-one children from the Alton area were drowned, and sixty were injured.